Odd-Helge Fjeldstad, Sigrid Klæboe Jacobsen, Peter Henriksen Ringstad, Honest Prosper Ngowi Lifting the veil of secrecy: Perspectives on international taxation and capital flight from Africa (Bergen: Chr. Michelsen Institute, 2017). The book is available as open source and can be accessed here. This is a timely collection. Published when newspapers are saturated with tax-related scandals and fraud allegations, the book analyses some of the main issues surrounding illicit financial flows, in particularly concerning tax heavens. The focus of the book is Africa – the continent that suffers most from capital outflow, not only but especially in terms of economic development. Targeted at, among others, policy makers, tax practitioners, civil society organisations, students and researchers, the aim of the book is to contribute to widening the debate around tax havens and offer policy-relevant data and findings. The book starts by considering the scale of the problem. Loss to African countries in corporate tax evasion is higher than anywhere else in the world – with a tax system which enables tax avoidance. Particularly egregious is the behaviour of multinational companies in the extractive industry who pay absurdly small amount of tax by registering profits to tax havens. Among the continent’s rich wealth is frequently hidden in havens outside national tax authorities and beyond judicial reach. As the book tells us, ‘the global network of offshore financial centres … popularly known as ‘tax havens’ or ‘secrecy jurisdictions’ … make it possible for rich elites and large multinational companies to drain large amounts of wealth out of Africa.’ Many of these tax havens are located in predictable places, small tropical islands such as the Cayman and the British Virgin Islands, but also in rich OECD countries such as Ireland, the Netherlands, Luxembourg, Singapore, and the United Kingdom. Despite the notorious difficulties in assessing the scale of the problem, the authors present some shocking figures. Globally, there is approximately USD 8 trillion of personal financial wealth in offshore accounts. This figure rises to USD 32 trillion when tangible asset like property, artwork and jewellery are included. Yet as a proportion of total wealth, Africa is the most afflicted continent in the world. 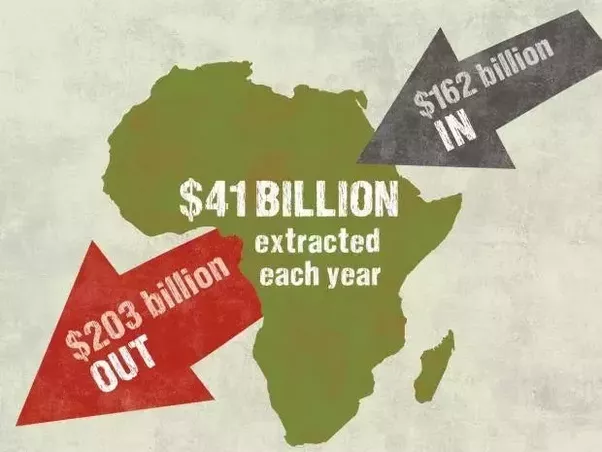 ‘Africans hold USD 500 billion in financial wealth offshore, amounting to 30% of all financial wealth held by Africans.’ In terms of lost taxation from this ‘flight’, it is suggested that African countries are deprived of an estimated annual figure of USD 15 billion. However, as the book states, ‘The inclusion of non-financial wealth, or higher estimates from available literature, could push this figure as high as USD 60 billion annually.’ In short, the situation is catastrophic. One of the many strengths of the book, is the representation of experts from the Global South. This can be seen in the make-up of the team of this collection: Thirty in total, they include experts, academics, activist, political and economic advisors, and importantly come from a variety of backgrounds and geographies. As a few examples: Professor Annet Oguttu – first black woman to get a doctorate in tax law at the University of South Africa, where she later became the first female Professor; Dr Honest Prosper Ngowi – an Associate Professor of Economics at Mzumbe University in Tanzania; Professor Leonce Ndikumana – Professor of Economics University of Massachusetts at Amhest and Dr Caleb Fundanha – the Director of the Institute for Finance and Economics and Chief Executive Officer of Macroeconomic and Financial Management Institute of Eastern and Southern Africa. The volume is organised into five sections: each one opens by introducing a topic and is then complimented by shorter articles with more in-depth discussion and case studies. Setting the scene in the introduction, the authors take up, what seems an unwieldy task: not only understand the impact that tax havens have in economic terms on the continent, but also explore ways in which the global networks of offshore financial centres affect domestic tax bases, political institutions, and citizen’s participation. To note briefly, there is no clear explanation as what kind, or in what, the ‘citizen’s participation’ is referred to. After defining some important concepts and giving an overview of the historical evolvement of tax heavens, the book moves to talk about its estimated scale and impact on the African continent as well as about the intricate relationship between capital flight, global corporations, bank secrecy and the elites, i.e. the power-accumulation nexus. Importantly, there is an acknowledgement of the difficulty in quantifying the exact amount of money being lost due to, amongst other things, the mismatch in trade statistics and often inaccurate methodologies used to estimate losses. This is an argument that is widely adopted by the international community as the search for more reliable methodologies continues. The actors involved in the network of tax heavens, including the so-called ‘Big Four’ (EY, Deloitte, PwC and KPMG) are explored in detail. These actors – also referred to as ‘lobbyists’ – according to the study, play one of the central roles in pushing for tax incentives and benefits for multinational companies, to the extent that this influences legislation in certain countries as explored by John Christensen here. The exploration of the extractives sector on the African continent and its relationship with tax havens is probably one of the most insightful parts of this collection. Detail-rich, it illustrates how multiple actors (including domestic players), navigate their way in interests-driven financial schemes in order to – to put in simple terms – squeeze as much revenue and pay as little tax. The final section of the book gives an overview of some of the actors involved in trying to tackle issues associated with tax havens as well as the measures and initiatives these actors are supporting. The overview is comprehensive, covering the historical development of these initiatives, mentioning the current changes and importantly underlining the importance of building capacity in the African countries in tax administration, including taxpayer services and increasingly important e-tax systems. Structurally, the book has various shortcomings. Due to the fact that some of the shorter articles in the five sections were not written specifically for this collection (but rather adapted), at times there is a sense that the information is fragmented. The lack of cross-referencing within sections and shorter articles throughout the book also adds to this effect. Moreover, there are several times where the same concepts are being defined and explained repeatedly, while it helps in our understanding, this repetition breaks the flow of the book. What the structural inaccuracies also do is that they take away from effectively conveying the response to research objectives that were laid out at the start of the book. The data and analysis to further understand how tax havens affect domestic taxation bases, political institutions and ‘citizen participation’ gets somewhat diluted in lengthy explanations. While it is understandable that when trying to unveil the complex financial and political structures at play, there is a sense that there is not enough emphasis on how the material connects to the research questions. What is also lacking is a conclusion. The book seems to end abruptly and leaves the reader ‘hanging’; I would have liked to see the analysis being comprehensively concluded. What the book does do however, it is it opens up a much-needed debate around the importance of looking beyond financial impacts of tax havens to start a wider discussion on its effects on domestic law-creation, people’s perceptions and attitudes toward taxation, in order to understand the mechanism and policy that can be used to deter the abuse of the global financial system. The book offers a solid grounding that can inform future research, studies and debates. Available as open source, graphically appealing and detail-rich, the book is an accessible resource for those interested in peering behind the veil of secrecy. Lifting the Veil of Secrecy is available as open source and can be accessed here. Nataliya Mykhalchenko graduated from the University of Leeds in International Development. Supported by ROAPE she researches anti-fraud initiatives on the African continent. Recently she has investigated anti-fraud measures in South Africa, Ghana, Botswana, Nigeria, Tanzania, Kenya, Malawi, Rwanda and Zambia. Working with ROAPE’s Jörg Wiegratz, Nataliya’s research is linked to the political economy of anti-fraud measures in the Global South. She is now based at the Social Research, Law and Legal Studies at Birkbeck University.